Enjoy some Pi. Or some Pi Cake, as the case may be. Lots of ways to celebrate can be found here. Or how about we just wish a happy 128th birthday to Albert Einstein. Only you would know this "holiday." Have a real piece of pie for me! It's even better than Mole Day. Today is also Steak and BJ Day. Just so you know. I love the geeky links you find, CTG! 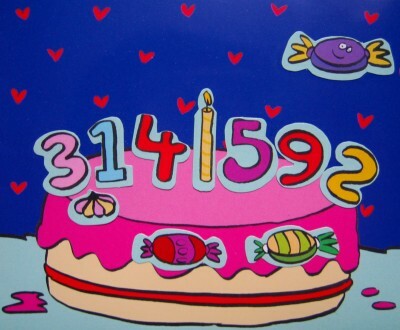 Happy Pi Day to you too!! HA! 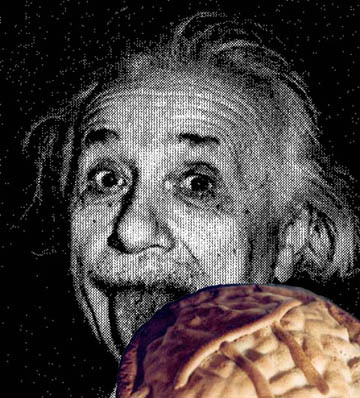 I thought Einstein's pie was a badly-rendered brain! Oh, the 3.14... of it all.